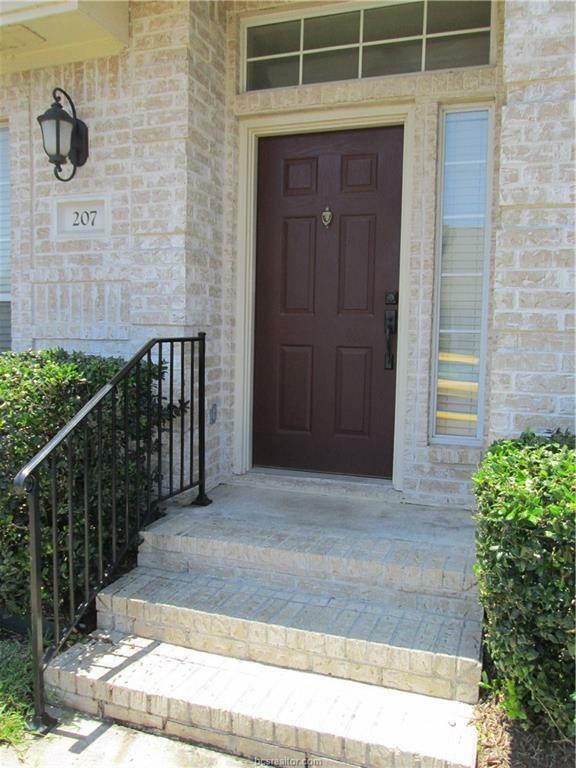 Excellent three bedroom, two bathroom single story condo conveniently located close to TAMU, the new HEB shopping center and has a shuttle bus stop just outside the front door! 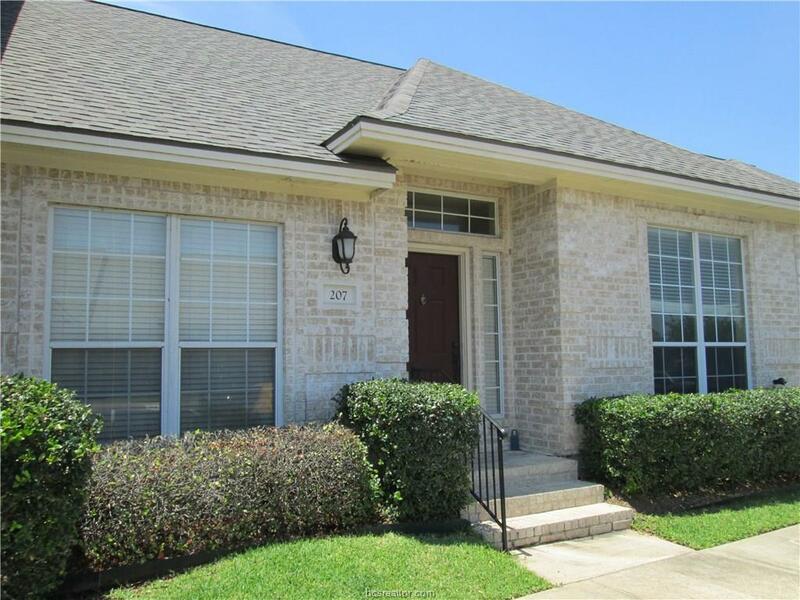 The updated kitchen comes with stainless steel appliances, granite counters and tile floors. 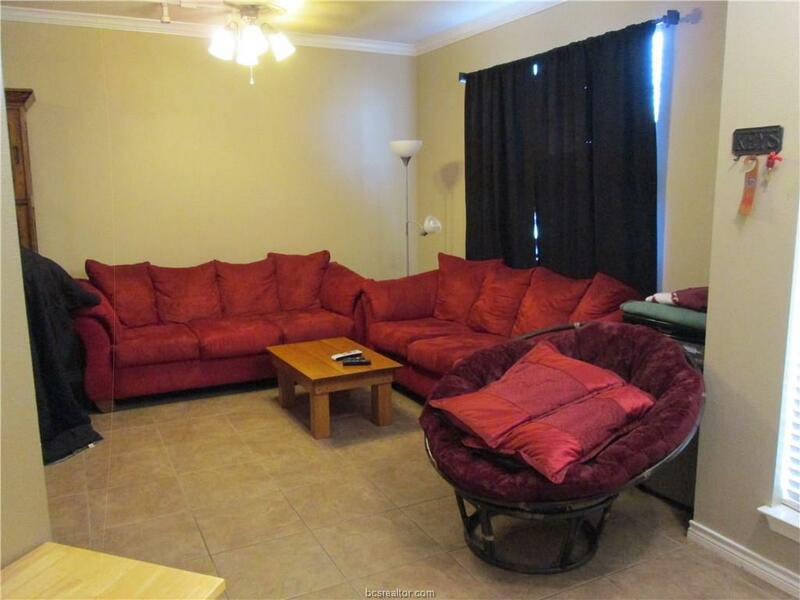 Tile floors are throughout the home's common areas and one bedroom. 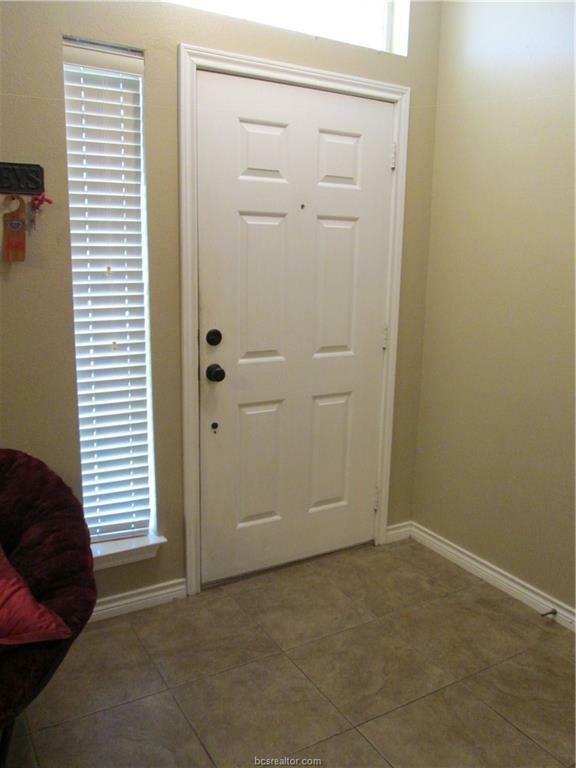 The additional two bedrooms have high quality updated carpet. Both bathrooms have granite counters and tile surround showers. The spacious living area has a built-in entertainment center. The condo comes with refrigerator, washer and dryer and three designated parking spots. Recent updates and a great location make this versatile property a match for everyday, game day or student living. Listing information © 2019 Bryan-College Station Regional Multiple Listing Service. Listing provided courtesy of Brad Corrier of Keller Williams Realty B/V.